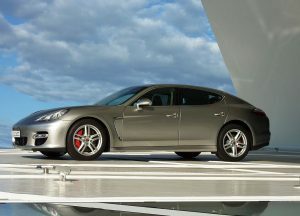 Porsche prestige history among the automotive industry has showcased its design and engineering to be recognised as one of the most successful cars in the world. Find out about top 10 most interesting facts about Porsche rich history with racing. 1. Ferdinand Porsche founded one of the world’s top automotive manufacturing companies in 1931 in Stuttgart, Germany. 2. The world’s largest motor sport manufacturer built and designed over 200 high performing race cars since 2006. 3. Only until the 1970’s did Porsche establish its place in the international road racing scene. The major win was with a classic Porsche 911 at the Monte Carlo Rally one of the most prestigious racing events. 4. Over the decades Porsche has competed in championships across the globe they have won a approximate total of 28,000 since 2007. 5. In 1953 Porsche began building motor race cars especially for racing, their design and engineering put them ahead of their competitions. Porsche first race won Nürburgring race, with 550 Spyder, it was a great success mastering unique lightweight body and was streamline design. 6. In 2015 Porsche won the 24 hours of Le Mans, in its 83rd year. Porsche built a 2.0 Litre Four-cylinder turbo charged engine with a battery hybrid system called 919 Hybrid that has won multiple races since. 7. Mark Webber an Australian from a country town called Queanbeyan, New South Wales. He was a former professional racing deriver and in 2015 became the first Australian to have won the FIA World Endurance Championship, as a driver for Porsche. 8. In 1899 the founder Ferdinand Porsche 24 years old at the time created the world’s first hybrid electric vehicle. 9. American Stand up comedian Jerry Seinfeld has is a passionate collector, he owned a 1973 Porsche motor sport Spyder 917/30 Can-Am, it was sold for $3,000,000 USD. 10. Porsche first introduce turbo to its two-door high performance sports car the classic 911.